1. "Furies." in2greece.com. 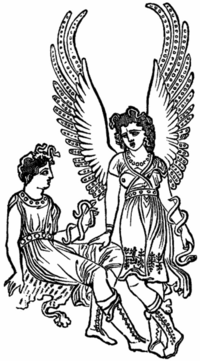 24 May 2008 <http://www.in2greece.com/english/historymyth/mythology/names/furies.ht>. 2. "Erinyes." Answers.com. 24 May 2008 <http://www.answers.com/topic/erinyes>.